Hello eYeka, Epigenetics (literally “above genetics”) is the study of changes in gene activity, the way genes are expressed. 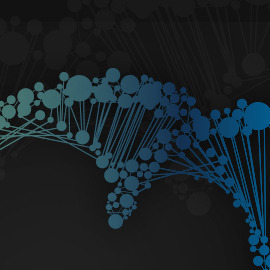 While the genome is your hereditary information, the epigenome decides how the genome is expressed. In multiple myeloma (a cancer of the bone marrow), this epigenetics dysregulation contributes to disease progression and drug resistance. The disease develops faster because the epigenome is deregulated. A pharmaceutical company, that wishes to stay anonymous, has found a way to reprogram the epigenome with a new drug in order to hold back the development of this cancer. Create two arresting pictures that visually explains in a simple, non-scientific and creative manner what are: epigenetic dysregulation and epigenetic reprogramming so that doctors will want to learn more about them. Format: PDF of three pages: 2 visuals and one page of explanations.